On Friday we had our last assembly of the term , part of this was a chance for us all to say goodbye and good luck to Mrs O'Connor. Many great items were shared. 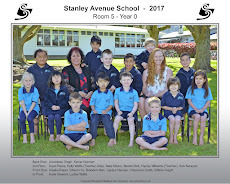 We had a quiz where Mrs O'Connor had to guess which of her previous students was behind a screen giving her hints to who they were , the students in the Kids for Kids choir sung a song and there was also a Kapa Haka performance. To finish off the assembly we all sung a song about Mrs O'Connor to the tune of "She'll be coming round the mountain ". 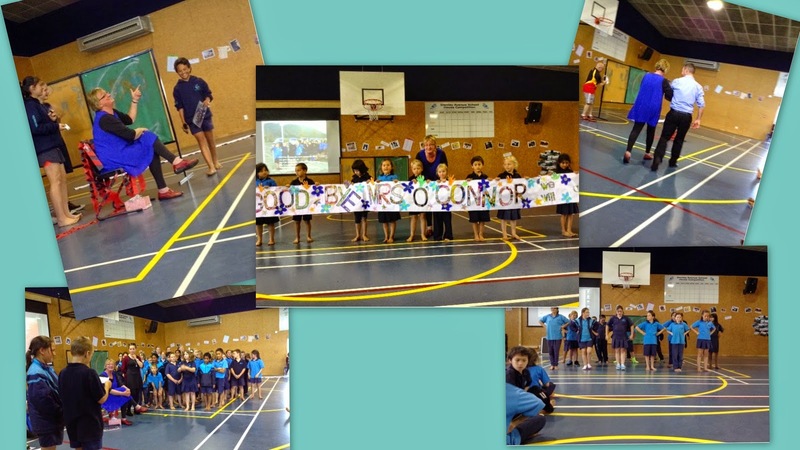 We will all miss Mrs O'Connor but know she will have fun on her new venture down south. Wishing you all the best on your new adventures,from all of us in Room 5. Enjoy the rest of your holidays, not long until we see you back at school, don't forget in term 4 that we all need to be wearing our school hats, if you haven't got one you can buy them at the office. Hi to Room 5. Thanks for putting up the story about my last day Miss Williams. I hope you are all having a great start to Term 4. I miss you all.